The Metropolitan Museum of Art has returned two stolen religious icons to Nepal more than 30 years after they were looted. One is a 11th-12th century Standing Buddha that was stolen from a shrine in the Yatkha Tole neighborhood of Kathmandu in 1986. The other is a stele known as the Uma Maheshwor idol that depicts the god Shiva and his wife Parvati and is estimated to date to the 12th-13th century. It was stolen from the Tangal Hiti temple in the UNESCO World Heritage Site of Patan in the Kathmandu Valley. The third largest city in Nepal, Patan is famed for its temples, palaces and rich tradition of artisan crafts. 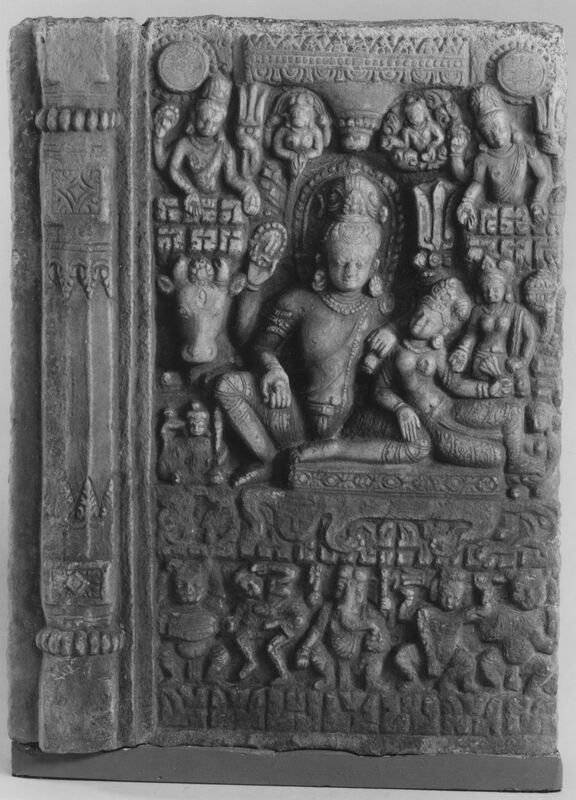 The Met was given the Uma Maheshwor by a private collector in 1983. It wasn’t until the donation of the Standing Buddha in 2015 that the museum realized both pieces had been looted. Both statues feature in a 1989 book entitled Stolen Images of Nepal by Nepalese art expert Lain Singh Bangdel documenting the uncontrolled rash of thefts that ravaged Nepal from the 1950s through the 1980s. Temple deities were particular targets, stolen by the thousands. Easily portable — nobody thought to anchor them firmly when they were created a thousand or so years ago — and highly desirable to collectors, they weren’t guarded by security personnel. The local residents who worshipped them and prayed to them didn’t imagine they’d be ripped off and sold to unscrupulous Western collectors and institutions. To its credit, the Metropolitan Museum of Art reached out to Nepal once it became aware the pieces were stolen. On March 6th, museum officials and Nepal’s Consul General in New York City signed a repatriation agreement, and less than a month later both idols were back in their native land. The sculptures arrived at the Department of Archaeology in Kathmandu last Wednesday, April 4th. 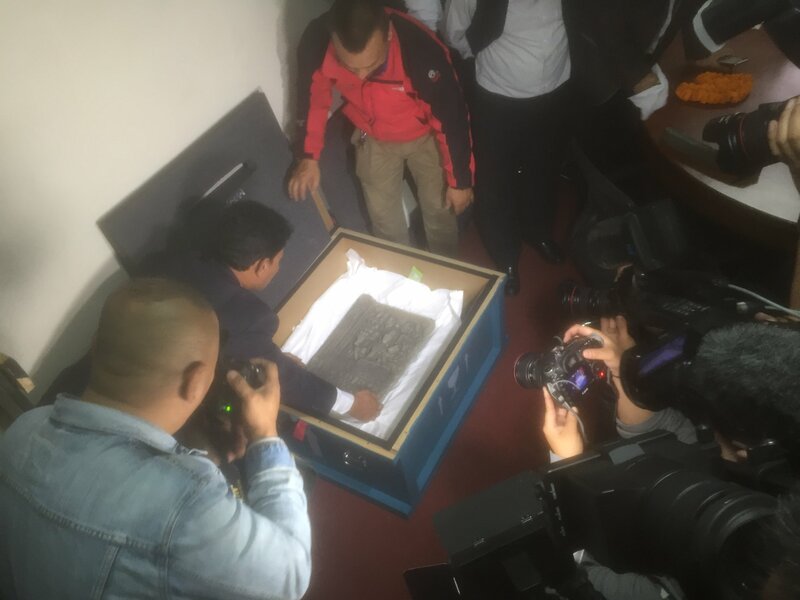 After the crates were opened, three men from the city of Patan traveled to Kathmandu to see their revered Uma Maheshwor stele for the first time in 35 years. The moment was all the more meaningful because Patan was devastated by the Gorkha earthquake that struck on April 25th, 2015, and many historical and religious structures and art works were damaged or destroyed. Both works will now go the National Museum of Nepal in Kathmandu. This decision is not an uncontroversial one. The idols have profound spiritual meaning to the communities from which they were looted. They are considered living representations of deities. When they are put on display in a museum, they are exhibited as mere art pieces, a sharp decline in significance compared to the reverence they receive in their communities of origin. There is a chance they might return to their shrines, however. By the terms of Nepal’s Ancient Monument Preservation Act 1956, communities can apply to have idols returned to them, but they have to prove they can secure them effectively. If they can convince the Department of Archaeology that the sculptures won’t be in danger of theft again, they will be returned. It’s a slim chance at best.